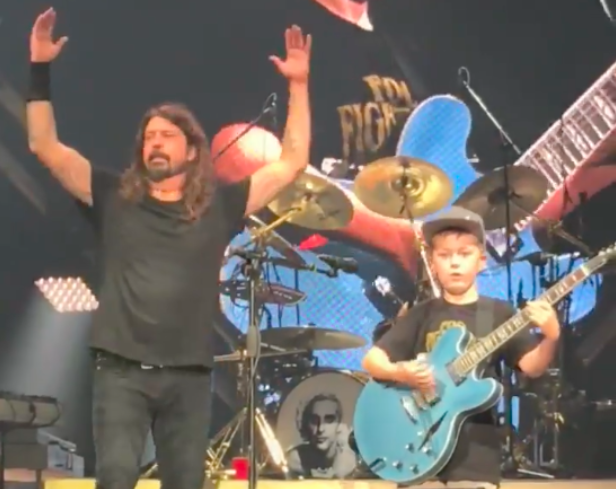 The 10-year-old boy who went viral after his performance of a Metallica song with the Foo Fighters in Kansas City is now using his fame to raise money for his friend suffering from a rare disease. In a Facebook post last Oct. 15 shared by his mom, Jennifer Dlugolecki, Collier is seen in several videos thanking all of his new followers. He then begins to talk about his friend, Bo, who has a rare disease causing him to suffer from Type 1 diabetes, epilepsy, growth hormone deficiency and other chronic diseases. Collier is asking his new followers to donate to Bo’s GoFundMe page to help raise money for his medical costs.